HR Challenges and Checklists – IFC Benefit Solutions, Inc.
With the daily changes by HHS, IRS, and DOL (many due to ACA), employers are hit with new rules, fees, regulations and compliance. Not being compliant can be extremely costly in fees and penalties which can prove difficult for our busy clients. IFC Benefit Solutions, Inc. provides as a value added service at NO additional cost to you the tools and resources to stay informed and compliant. You need a benefit partner that you can trust. We provide our clients with the experience, personal HR support and employee training that you can use. 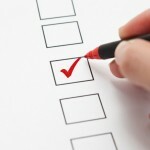 Below are a number of HR and Compliance Checklists that can be helpful to evaluate how your company is doing. We provide ThinkHR at NO cost to help our clients become and stay compliant and keep up with everyday HR challenges.